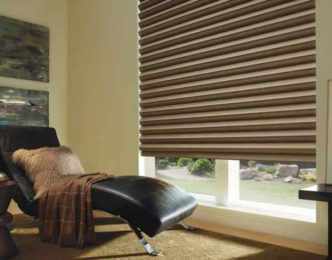 Solera® Soft Shades have a unique cellular construction for increased energy efficiency. 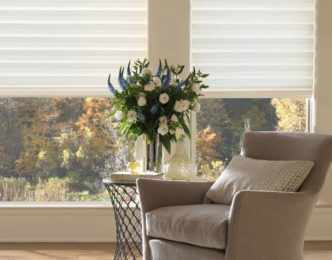 Color inside the fabric cell creates a rich look with added dimension. 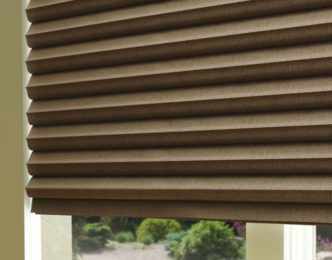 The street side of the shade is off-white for exterior uniformity. 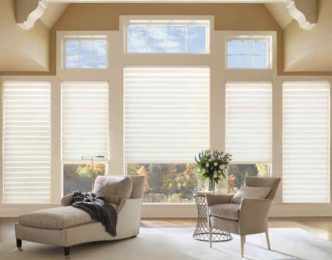 Solera® shades come with internal lift cords that allow for enhanced child safety and a clean and tailored look from the outside. 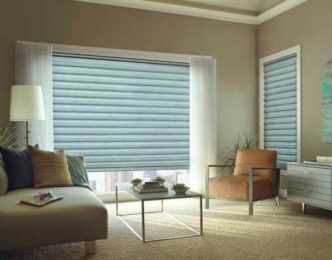 Fabrics are available in both light filtering and room darkening opacities.